The flash from the cameras, the swiping of the card-like tickets, the barking of instructions from the muscled men at the gates, the display clothes and accessories of all shapes and colours, the slow cruising ‘flashy’ cars; evidence to alert me I was at a major event in capital. On the night of June 30 however, as I made my way through the security check point set up by Empire Entertainment at the Dome of the Accra International Conference Centre, I was made very aware that Ghana was meeting Nigeria. The accents emanating from the conversations in the queues, though difficult to place contextually, were indicative of the array of cultures on display at the Ghana Meets Naija Concert. Being the second edition and having received rave reviews for the initial concert, expectations were high of the performances to roll out later that night. Bola Ray’s Empire Entertainment made it a point to clearly differentiate between the ranges of personalities who patronized the event. From the VIP entry point, to the colour coded wrist bands, to the elevated VVIP stand; everyone knew their place. Interestingly, the celebrities who took over the stage also knew that! Kofi Okyere Darko (KOD), MC for the night, made the point very clear when he who told his ‘partner-on-stage’, Nigerian comedian, Julius Agwu, that the crowd on the VIP and VVIP sections will cheer less all through the show (and they did). The set up was impressive (by Ghanaian standards) and the positioning of the disc jockeys on either side of the stage was a good touch. Though there were a number of disc jockeys representing their artistes, DJ Black (as usual) stood tall with his impressive selection of songs and his voice over antics. 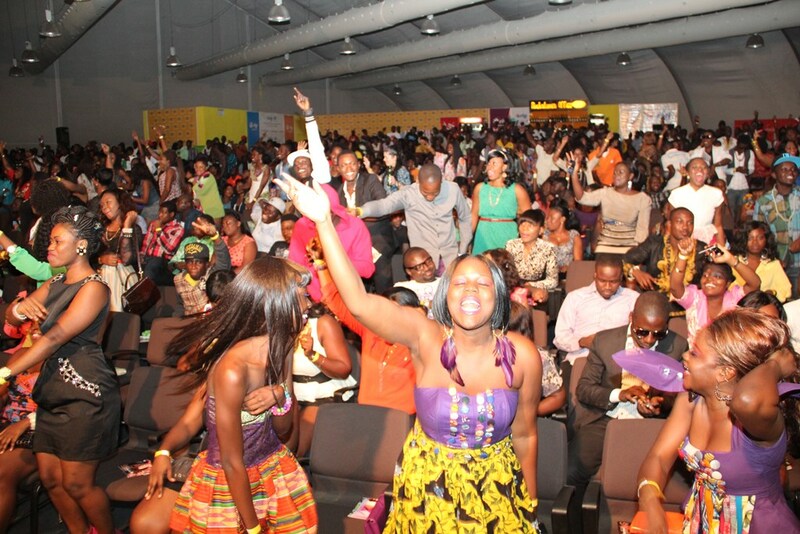 Typical of most events in Ghana, the ‘newbies’ are rolled out first to ‘check the atmosphere’. They did just that. They rolled onto the stage, screamed and called for everyone to put their hands up, danced their hearts out and went away. Artistes like Sala with her ‘prancing’ dancers, the Boss chick known as Lousika who despite falling on the stage gave a good account of herself as a female rapper, perfectly fit this category. 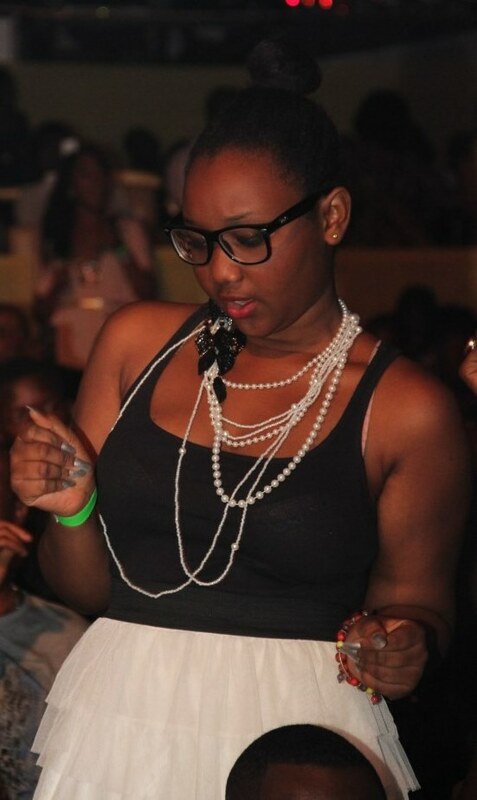 Some others like ‘Kaaki’- the dancehall queen, ventured into the world of the unknown and tried to get the crowd behind her. A performance from Bino followed but one can only say she was the only one who found it entertaining. Maybe it was just me, but then everyone was glad when YQ from Nigeria appeared on stage. It was not necessarily because his performance was amazing but then because it offered everyone some breathing space from the MCs on the stage. The highlight of his performance was when D’Black got on stage with his ‘Vera’ track. His performance however, was highlighted by the appearance of an ‘unknown’ lady with hips that could hold the planet to ransom. Interestingly, the cheers grew louder as they left the stage. From then on, the only things that kept the party dull were the long pauses between performances. While Guru was busy introducing the ‘Lapaz Toyota’ swagger with Ball J (aka. Bordey Beat), Madtime Records rapper, Abodam in his bath robes was getting them cheering. Hiplife duo Keche were in full flight on the night but the antics Tiwa Savage; giving a Nigerian man a lap dance, made them look pretty ordinary. Ghana’s most celebrated hip-life trio, 4X4 did what they did best; send the crowd into a frenzy. Track after track, patrons could hardly sit. Some performances on the night however stood out such as those of Tema based R2Bees with their hit Ajei track and one Ghana’s brightest rap sensations, Cartoon of Talented Kids fame. Then the brothers from Naija stepped in to send their Ghanaian counterparts green with envy. 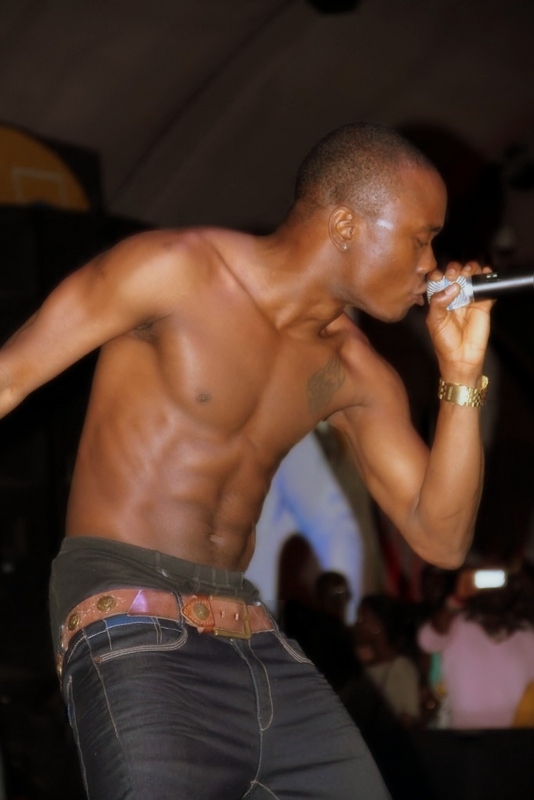 From Brymo bare-chested performance to the wonders of the Dami Duro man, Davido was enough to steal any show. They were amazing. Commanded the stage like it was theirs just the way it was meant to be done. In the end, as i watched the people grudgingly stream out of the Dome and begin the plotting for their new destinations, i was impressed by one thing.. The number of young men carrying the hands of the ladies they strolled in with. Most impressive if i may sat so.